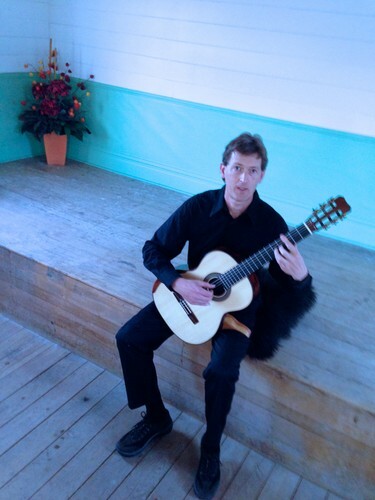 Classical Guitar Concert with Auckland Virtuoso Bruce Paine at Old Tua Marina Church, Brayshaw Heritage Park. The concert will be followed by the launch of Bruce's latest CD, cash sales only. Bruce is a Radio NZ recording artist and increasingly internationally renowned composer to classical guitar. Tickets are $25.00, with advanced sales from Marlborough Museum. Door sales available with cash only on the night - we anticipate that the concert will be sold out before then, so get your tickets early. Email - Marlborough Museum - info@marlboroughmuseum.org.nz.